Two and a half times the length of a normal Ferrari 360 Modena and will probably need to be bid two and a half times the price. We at The Drive enjoy finding unique or strange eBay car auctions. For example, the Baby Driver Subaru WRX is unique and the Off-Road-Ready Bentley Continental GT that was featured on the National Geographic U.K. television series Supercar Megabuild is strange, but a Ferrari 360 limousine has to be the strangest I have seen. 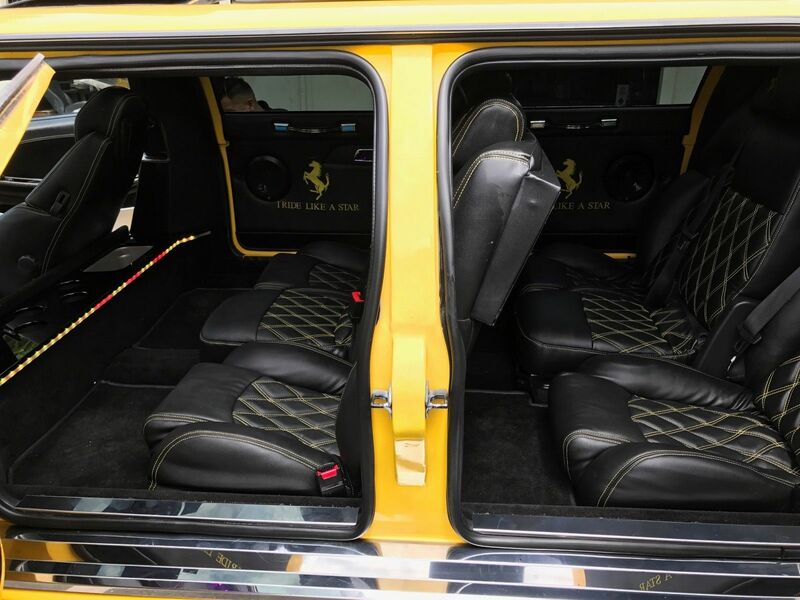 According to the eBay listing, the Ferrari 360 limousine started life as a 2003 Ferrari 360 Modena and was converted into a stretched limousine in 2017. 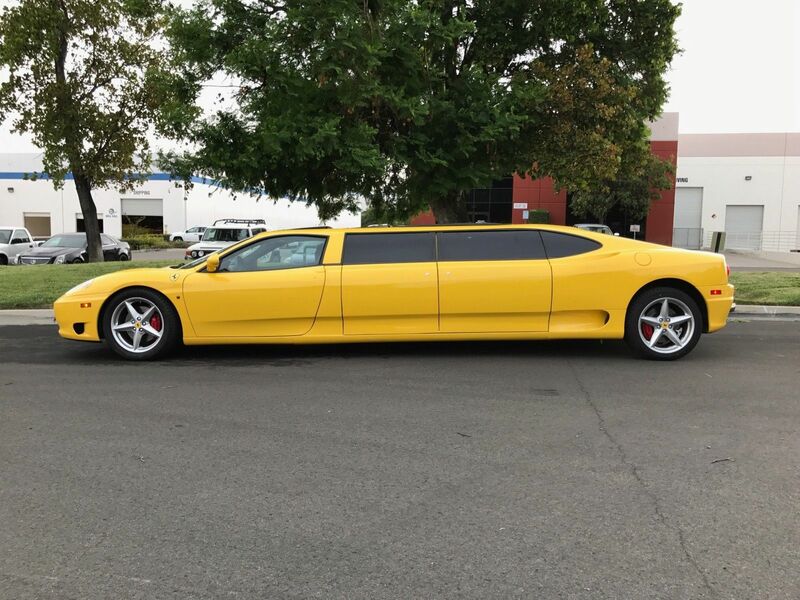 In the listing, the eBay seller proclaims that "It’s not just the rarest Ferrari limo in the world, but the only one in America. As rare cars come then, this is probably the rarest of them all." 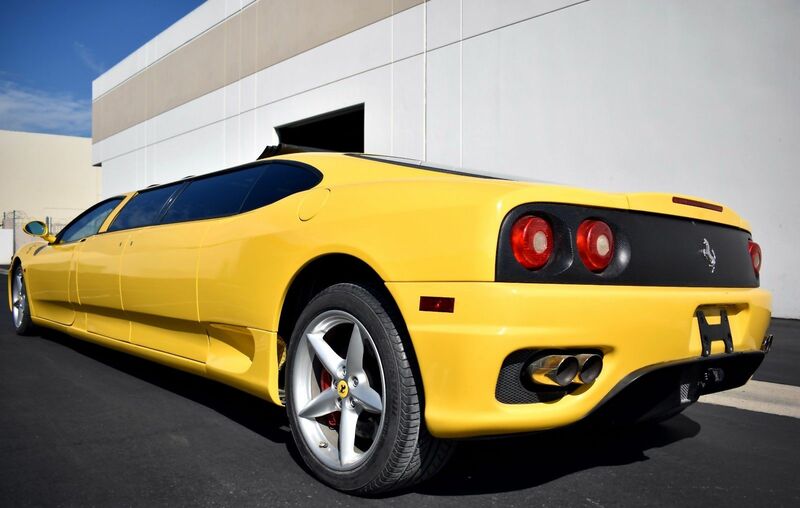 The listing also mentions the powerful engine of the Ferrari 360 Modena. However, with the added weight of what my eyes say is two and a half times as long as a normal 360 Modena, any power is no longer felt. Ferrari engines are meant to be revved out. I cannot imagine how the limousine gets around with its torque curve. In terms of upgrades after the limousine transformation occurred the 360 Modena limousine now features seating for seven passengers, an open rooftop, leather embroidered seats, suicide doors, and plasma TV screens. As of writing this article, the auction has three bids with the current price at $100,300.00, but the reserve has not been met. According to my research of eBay's completed recent Ferrari 360 Modena listings, Ferrari 360 Modena and Spiders are going in the $45,000-$60,000 range. So if the limousine is two and a half times longer, $115,000.00 should be a good sale price right? I am sure in the end this will find a home with some limousine company in the warmer states, but who knows, maybe someone will prove me wrong. It was reportedly even inspected by Valentino Balboni.